Welcome to the 11th day of the 2015 Ornament Exchange! Erlene at My Pinterventures is hosting the exchange and has partnered up 80+ bloggers to exchange ornaments. Visit her blog to see the previous ornament posts that have been shared. We could either create a ornament or buy one for our partner. So I joined a Ornament Exchange. So I was paired with Joy who blogs over at Books and Life! Joy is a part-time librarian, who loves angels, snowmen and recently started collecting precious moments (the older ones). So with that in mind I turned to Pinterest. 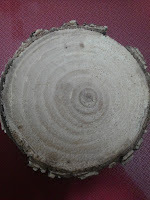 \I came across wood slice ornaments. I have been planning on doing homemade ornament s for my family as well and this was perfect! You see our new house came with a wood stove. So I have an over abundance of logs. We also have a chop saw, so I convinced my husband to turn one of these logs into wood cookies. 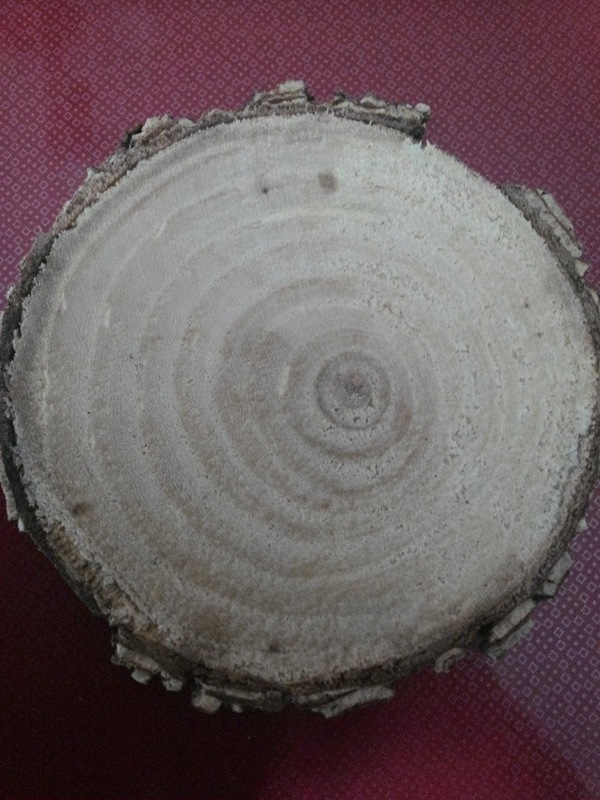 One of the MANY wood cookies! 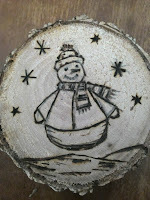 I then drew a design onto the cookie and burned it into the wood. I then decided to add a POP of color to my design. So I used my colored pencils and colored in the design. I then drilled a hole in the top of the cookie so that I could thread a ribbon through it. I also clear coated the ornament to protect it. I hope that you love it Joy. What an adorable little snowman! 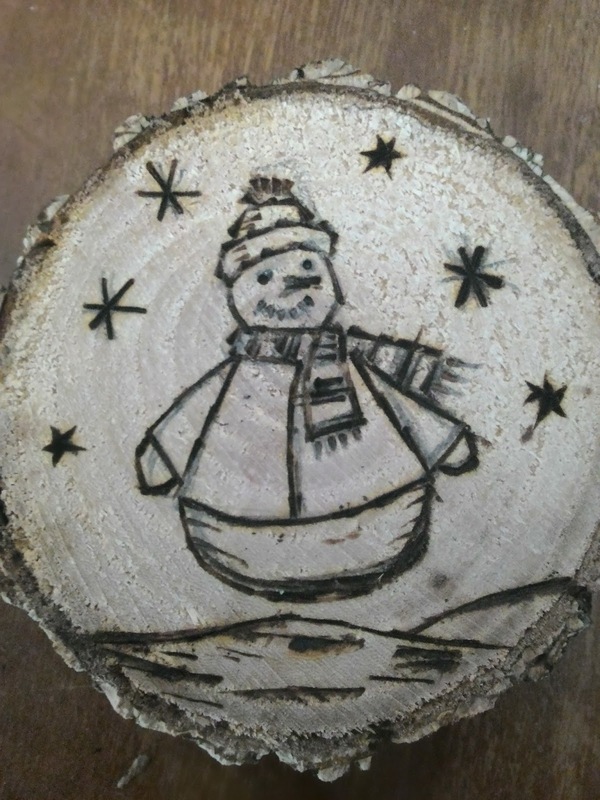 I must try wood burning some time. Awe thanks so much! I can't wait until I can add it to my tree. We are decorating early this year! I hope you get your box soon. Love this! 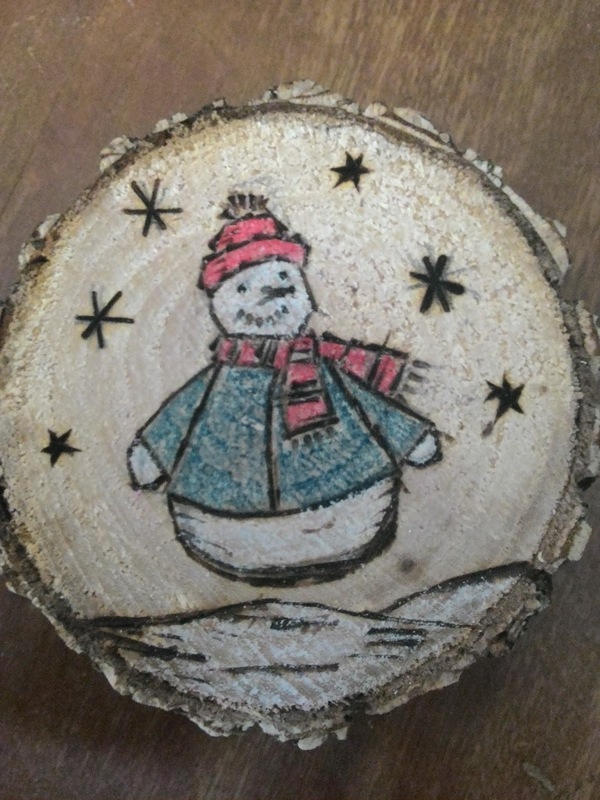 I'm inspired by the wood burning. It's so pretty. Hi there, I'm another ornament exchanger and LOVE this idea, I would have never thought to burn a design in wood, such an excellent idea! I love that you colored the wood slice. I've always wanted to make wood slice ornaments and I like the pop of color. 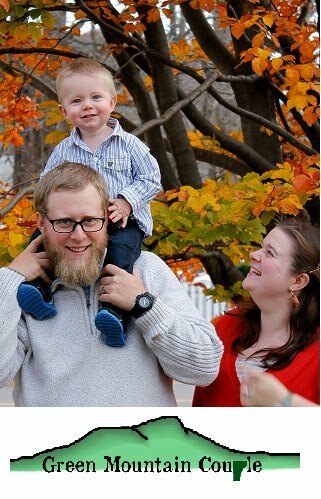 Family Pictures ... & What We Have Been Up Too..